Exclusive T-shirt brought to you by the Spirit Box Team for students. 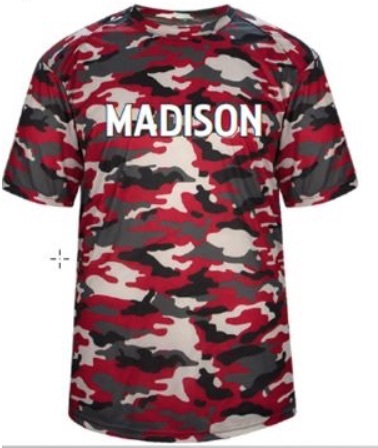 Get your CAMO t-shirt, $20, Available in the spirit box Vending machine located across from the small gym (accepts credit cards, apple pay, and cash). Show your Madison spirit!